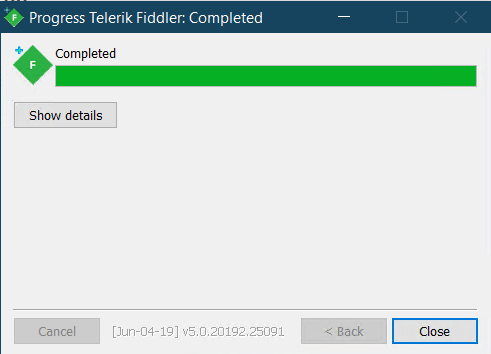 Download the full version of Fiddler. For web traffic capture only, download FiddlerCap. a. 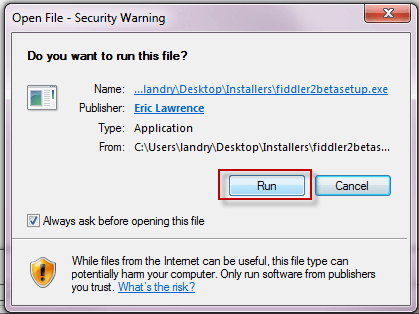 Select 'Run' from any Security Warning dialog. b. 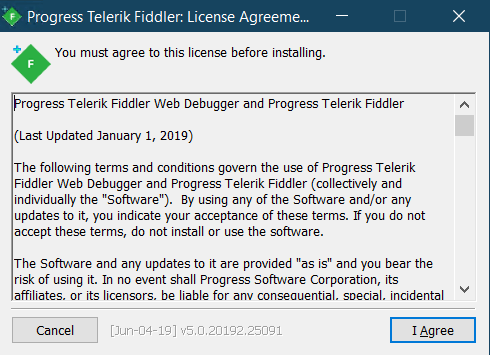 Agree to the License Agreement. 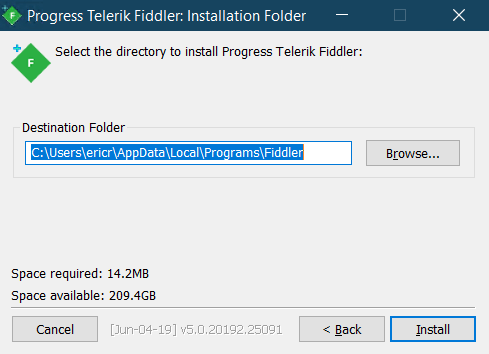 c. Select the install directory for Fiddler. d. Click 'Close' when installation completes.